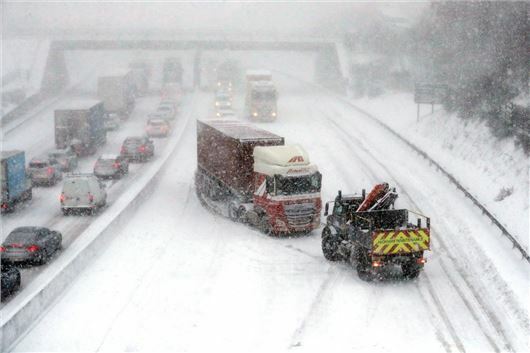 Are you actually insured to drive during a red weather warning? With Scotland being issued its first ever red weather warning, rumours have been circulating online that motorists would find their car insurance invalid, should they be involved in an accident. But is there any truth to it? A red warning is rare and means extreme weather is expected, with people urged to take immediate action to keep themselves and others safe. Risk to life is likely, and people have been told to avoid travelling unless absolutely necessary. The blizzard has caused major problems across most of Scotland since Wednesday, with hundreds of schools closed and travel badly affected. >> Are driving bans for children under 16 driving up insurance premiums? However, drivers are being told to ignore online rumours that car insurance is not valid during a red weather warning. "It's total nonsense to say you would not be covered during a red weather warning," a spokesman for the AA said, "If you were to do something reckless, like drive at speed on treacherous roads, and that led to an accident that would be taken into account."